Waiting Patiently put in the performance of a horse destined for the top in maintaining his perfect record over fences in the 32Red Casino Chase at Kempton Park. Not seen since winning at Carlisle in November, the Malcolm Jefferson-trained seven-year-old continued his upward curve when accounting for a number of useful rivals to run out a clear-cut winner of the Listed prize. Held up by Brian Hughes, the 13-8 favourite gradually worked his way into the extended two-and-a-half-mile contest before readily quickening clear after the second-last to defeat Art Mauresque by eight lengths. The impressive success saw Paddy Power cut his odds from 10-1 into 6-1 for the Ryanair Chase at the Cheltenham Festival. 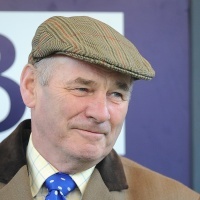 Jefferson's daughter, Ruth, said: "There's not a lot of races about for him and we will have to look at the next step up and if the ground is good to soft or soft we will give it a go (Grade One Betfair Ascot Chase, February 17). "Smad Place and God's Own are getting on a little bit, but they do set a nice standard. He has done really well on soft ground and he has looked really well on soft/heavy ground. He has had to run on something a bit quicker today and prove he was as good. "I like the way he quickened between the second-last and the last and galloped to the line. I was really pleased with that and his jumping. "He is quite a heavy horse. He is not very big, but stocky and we would want to make sure it is genuine good to soft or worse before we risk him. "The weather Gods are out of my control so we will keep him in at Cheltenham, as it can be good ground and rain. We will keep him in it until the last minute. "We will put him in the Champion Chase and the Ryanair."